We were created in memory of Rick Rosen who passed away in 2009 of a massive heart attack leaving behind his children, Jon & Allie, who were 19 & 17 at the time. Jon, now 28 years old, has opened up Jet Ski FL in honor of his Dad. 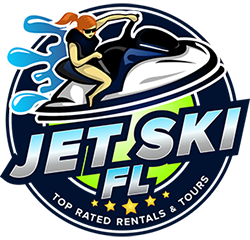 Jet Ski FL is also driven by the lack of kind, personable, and professional staff in the jet ski rental Fort Lauderdale industry. Before we opened, for yearswe have heard and experienced time over again bad customer service in this industry, and Jon felt he wanted to change that immediately. A 3x Tripadvisor Certificate of Excellence winner from his Segway tours, Jon understands that Fort Lauderdale is built on tourism and hospitality and each experience requires kind, friendly, and professional staff from start to finish. Customers and friends no longer need to worry about bad service and bad experiences when trying to enjoy jet ski rentals in Fort Lauderdale. Similar to his Segway tour business, every Father´s Day all dads and their familes recieve free Segway tours and will now also receive free jet ski rentals & tours. Jon and his team have pledged to make a positive change and influence in the tourism and hospitality industry in Fort Lauderdale. Never hesitate to pick up the phone and give us a call anytime, you can trust Jet Ski FL to provide an exciting and memorable experience for you, your family, friends, co-workers, and anyone else 7 days a week. Call us at (954)383-8724 and speak with Jon personally or secretary Jen. We look forward to hearing from any and all!